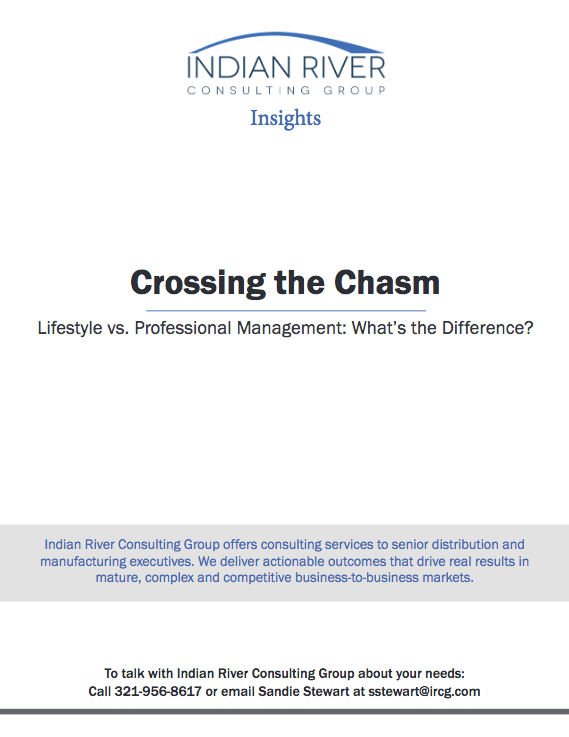 Crossing the Chasm: Lifestyle vs. Professional Management: What’s the Difference? Much has been written on building a lifestyle business. And a lot has been written on best practices in professional management, which typically follows. But there is little of practical value out there on making the leap from a lifestyle business to a professionally managed one. The underlying assumption is that this transition to professionally managed is good, and all firms will eventually do so. The reality is actually quite different. We have worked with lifestyle businesses that have over $1 billion in revenue, and we have worked with professionally managed firms that have less than $20 million. Size is a predictor but not a decisive one. Read this whitepaper to learn about other indicators of whether your business is a lifestyle or professionally managed one, and the challenges involved in making the transition.